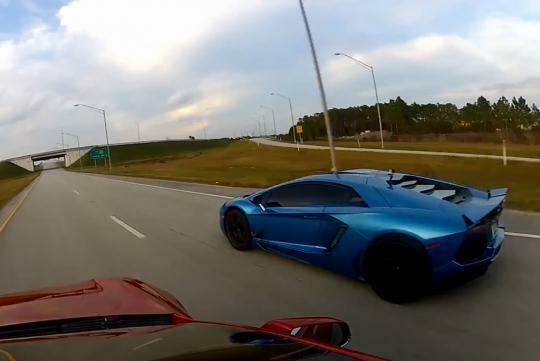 > Tesla Model S P85D fights Lamborghini Aventador. Who will be faster? From what we could see, the Tesla put up quite a good fight even though it weighs 380kg more than Aventador. Even in drag races, the availability of instant torque with the Tesla pulling ahead for the first few seconds before the supercar catches it as the speed rises. For reference, the official century sprint for the Model S is 3.2 seconds while the Aventador's is 2.9 seconds. i like that "instant torque".